With World Environment Day just ahead of us, TAWFIQUE ALI points out that Rapid, unplanned urbanisation has choked Dhaka's lifeline, the rivers; polluted the overall environment, narrowed down open spaces, destroyed transportation system and erected risky buildings in a sprawling manner. It is tragic that Dhaka as an age-old capital city blessed with canals, wetlands and surrounded all around by rivers lost livability in the face of mindless destruction of natural environment thanks to unplanned urbanisation during the post-independence era. Its pride and glory of having ornamental gardens, plenty of parks and playgrounds established by the Nawabs declined rapidly with the ruthless onslaughts on open spaces while successive governments either encouraged or gave a tacit approbation to the trend. Due to the extent of recent degradation, Dhaka was ranked second at the nadir (139th) among the global cities in The Economist Intelligence Unit's global livability ranking last year. Ironically, environmental degradation persistently continued despite multiple designated government agencies that are equipped with various conservation laws, codes and planning documents in hand during the past couple of decades. Abominable greed of powerful offenders comprising businessmen particularly in real estate sector, politicians, ministers and others led to blatant violation of the laws and induced ruthless pollution on Dhaka's urban environment in any way possible. Sudden surge of physical development growth overrode as least attention was paid to environmental conservation. Powerful people facilitated by government custodians destroyed it at will to gain individual interest. Military autocrat, HM Ershad pioneered the grabbing of city lakes to build luxury apartments for ministers and government high-ups in the 80s that continues till today. Rajdhani Unnyan Kartripakhha (Rajuk) in a bid to 'conserve' the Gulshan-Banani-Baridhara Lakes has recently come to the conclusion that there are no grabbers within the lake. During the period Rajuk itself has earth-filled the lakes at least in three layers to create housing plots to gratify government big shots, allowing private grabbers even after enactment of wetland conservation law in 2000. Raging institutional corruption, incompetence, lack of relevant manpower and above all political clout have made it possible for successive regimes to manipulate Rajuk as a tool for appropriating public property. Despite being a regulatory body to ensure planned urban development of the capital city, Rajuk with inadequate manpower and organisational capacity has always been interested in implementing housing and gigantic communications projects for reasons best known to it. Organizations like Rajuk, Dhaka City Corporation (DCC) and environment department are designated as custodian for ensuring the city's overall environment. In many instances they truly facilitated planned urbanization and environmental destruction. However, even after conservation laws and legal tools were framed, powerful people continued to defy those in collusion with government authorities. Parks, playgrounds and open spaces fell prey to land grabbers, illegal occupants and non-compatible development. DCC that was entrusted with most of the city parks and playgrounds during Ershad regime consistently destroyed those allowing grabbing, commercial use and itself leasing out for commercial uses destroying the city's open space for children's physical and mental development. A city of around 1.5 crore population continues to reel from unplanned land use all around. Inevitable consequences are unhealthy living condition, lack of civic amenities, water logging, perennial traffic congestion, and destruction of environment, ecology, rivers, and wetlands. Over two hundred illegal private housing schemes particularly on the city's eastern and western fringes are ruthlessly destroying wetlands, agricultural lands, age-old canals, river foreshores, water retention ponds, flood flow zones and rural homesteads. Of them, 49 have been identified inside the flood plains covering around 9,241 acres of land. Inevitable consequences are mindless destruction of ecological system, ancestral livelihood of rural people, and threat to food production and urban flooding in the capital with a scanty rainfall. The Detailed Area Plan, final part of Dhaka's master plan, shone a ray of hope in the horizon with the promise to save the city against unplanned land use. But the prospect of a livable Dhaka city started fading away when the government curiously made implementation of the long-overdue Detailed Area Plan conditional to review by a ministerial body despite its publication in the government gazette. The DAP was made a public document in June 2010 but its implementation was soon made subject to a “final review” of a cabinet committee in the face of fierce opposition from real estate companies, two of them owned by lawmakers. Headed by LGRD Minister Syed Ashraful Islam, the committee sat just once immediately after formation. 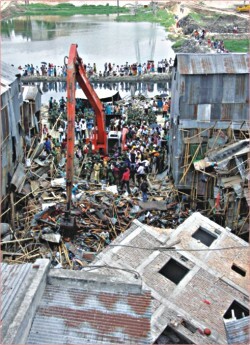 Non-enforcement of the detailed plan institutionally widened the way for an irreversible disaster of Dhaka's environment. The DAP period ends in 2015. The DAP details every lake, canal, wetland, retention pond, road, open space and all other topographical features of the city, and prevents unauthorised land use. DAP committee of eminent experts recommended reclamation of more than 2,500 acres of flood flow zones and agricultural land from the grip of unauthorised housing projects and relocation of 2,724 industries and scrapping 16 private and government projects. It earmarks 32 per cent of 1528-square kilometres area for flood flow zones, water retention and water bodies. Filling up wetlands is not only showing signs of an imminent environmental disaster but also consistently choking the capital with perennial water logging and creating a mess in the sewer system. In order to save Dhaka's lakes and wetlands,they must be immediately demarcated on the ground as they have been earmarked in the urban plan. Leading south Asian activists hold the opinion that cities like Dhaka, Kolkata and Delhi cannot survive without conservation of urban lakes that are vital to preventing urban floods and ensure ground water percolation. Lakes, ponds and canals together constitute a whole eco system. According to official claims, DCC collects 2800 of total 4, 000 tons of solid wastes generated in the city everyday. Most of the remaining wastes blend in the wetlands, canals and finally into the rivers. Alarming is the fact that at least nine tons of infectious clinical wastes get dissolved in water and soil everyday, even if one accepts that DCC collects 35 tons clinical wastes. Eviction drives of environment department during past two years against scores of various industrial units operating without effluent treatment plants revealed that river water and low-lying wetlands of Burignaga, Turag, Balu and Shitalakhya have been alarmingly contaminated with untreated toxic effluent. Government agencies including influential local politicians have grabbed most of the 43 city canals to carry out their 'development' frenzy leaving Wasa currently to manage only around half a dozen to use as storm drains. 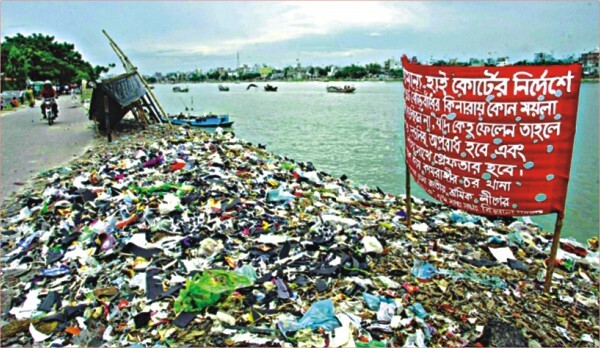 Dhaka Wasa can treat only 8 percent of around 2 million cubic metres of human sewage generated by the city dwellers of Dhaka and Narayanganj daily at Pagla treatment plant. Rest of the sewage is directly released into wetlands, lakes and canals which finally flows into the rivers. It extracts ground water to meet 88 percent of the 220-crore litter demand daily causing a three-metre depletion of water table every year since the 1990s spelling an impending natural disaster. The government failed to formulate an implementation mechanism for the national building code despite a High Court order making it mandatory for all. The building code became legally-binding seven years back but compliance with its safety provisions has ever been ignored for lack of a designated authority and adequate number of building officials. Violation of building construction rules by private individuals across the city takes a heavy toll on the city environment and quality of residential life with Rajuk playing a silent spectator. Unscrupulous businessmen have illegally set up offices, factories, warehouses, shops, recreational clubs, restaurants, universities, colleges and schools occupying hundreds of residential buildings in designated residential areas such as Gulshan, Banani, Dhanmondi and Uttara. Such commercial occupancy of residential buildings under the very nose of Rajuk spoils residential serenity and comfort. Rajuk attributes its failure to rectify the situation to shortage of manpower but it is enthusiastic in undertaking strenuous development projects. It is estimated by the officials concerned and transport experts that at least one-third of city roads and ninety percent of footpaths remain illegally occupied with on-street car parking, temporary vendors and construction materials causing traffic bottleneck in the capital. Thousands of building owners have illegally turned car park space into commercial set ups greatly causing traffic mess with illegal on-street parking. 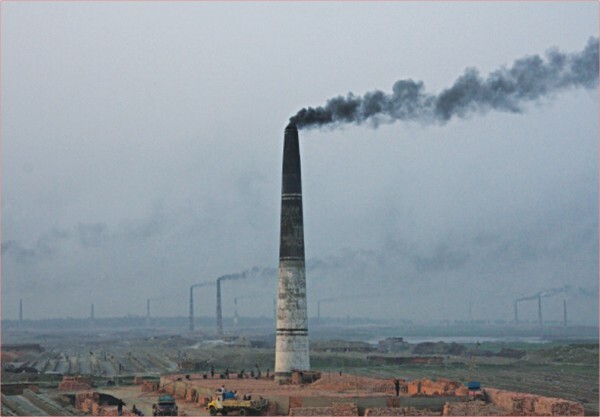 Thousands of unfit rundown vehicles and illegal brick kilns emit venomous gases and suspended particles, turning Dhaka's air poisonous which may cause various respiratory diseases to the city dwellers. The incumbent government made lofty pledges of elevated expressway and metro rail but both stumbled apparently due to the government's inefficiency. Thousands of private cars and other small size vehicles add every month to an already crammed city with scanty road coverage. Metro rail could play a vital role in improving air quality keeping thousands of private cars away. However, the government irrationally agreed to hand over existing rail corridors stretching from Shahjalal Airport to Dhaka-Chittagong highway for elevated expressway that will facilitate private cars only though it was proposed for a metro rail route that helps an effective mass transportation mode. According to records of DCC the capital has 1838 kilometres (excluding the airport road and those in the cantonment area) of roads and 388 kilometres footpath. 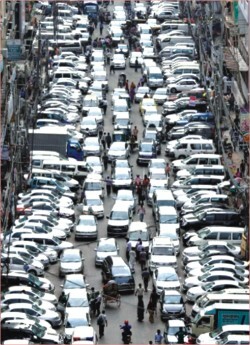 Lack of a coordinated transport planning, negligence of the authorities, illegal occupancy of the actual road width and pedestrian passage are considered as some of the foremost reasons why the traffic deadlock has assumed the horrendous proportion. Perennial, dreadful traffic mess paralysing normal life and work everyday continues with half a dozen government agencies being responsible for traffic management in the capital. The authorities concerned are unable to play their respective role in traffic management due to lack of manpower, required logistics and influence of powerful quarters. Dhaka Transport Coordination Board (DTCB), Traffic Department of Dhaka Metropolitan Police (DMP), Rajdhani Unnyan Kartripakkha (Rajuk), Dhaka City Corporation (DCC) and Bangladesh Road Transport Authorities (BRTA) are responsible for traffic management. However, the general public attributes the failure to corrupt practices by the authorities. Tawfique Ali is senior staff reporter, The Daily Star.